Please note that as each item is original and handmade, the designs will slightly differ from the pictures shown. 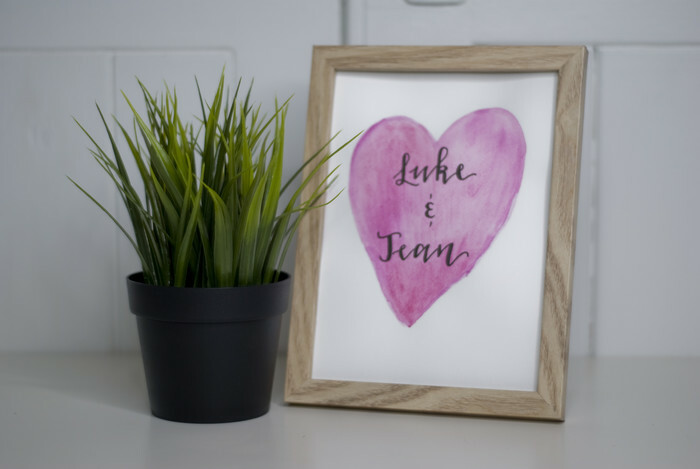 This listing is for the pink heart-shaped background version (non-framed) of 2 names of your choice. After purchasing this item, please contact me either via my email (artbyeilidh@gmail.com) or Made It to choose the names.